Within the UK there are over 8000 conservation areas these are areas that require special planning permission for specific building works including roof windows. 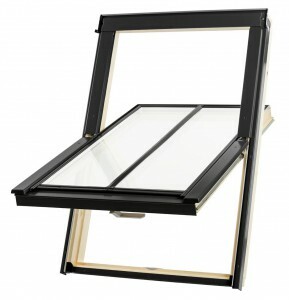 The Duratech conservation window meets all conservation building regulations. Duratech conservation roof windows are centre pivoted and crafted in sleek Scandinavian Pine. Externally there is a glazing bar is placed down the centre of the external window pane and all external profiles are painted black. The zinc moulded opening handle has two locking positions allowing passive ventilation through the roof window. The Duratech Conservation roof window also includes a free underfelt foil collar.